Protecting New Zealand’s native species can be as simple as putting that apple core in your backpack. Back in September for Conservation Week, we celebrated by playing with our food and teaming it with a DOC/NewZealand/nature theme. If you’re after some fun recipes this weekend, why not try out one of these? These pretty cupcakes are fun to make, and the recipe teaches you how to make wings—an essential skill to have for creating native New Zealand delicacies. Don’t be afraid to mix up the colours and design your own. Who’s up for the kakapo cupcake challenge? Check out the monarch butterfly cupcake recipe with step-by-step photos. I've tried these, they're delicious! These delicious scones will make a great addition to anyone’s morning or afternoon tea table, or as an energising snack when visiting Egmont National Park… (cheesy joke, I know). Check out the Mainland Egmont cheese scone recipe for step-by-step instructions on how to bake ’em! These tasty treats not only look fantastic but are easy to make and a great twist on a couple of kiwi classics—summery popsicles and our iconic kiwifruit! Speaking of which, did you know that a serving of kiwifruit also contains the same amount of fibre as a bowl of bran cereal, contains the same amount of potassium as a banana and provides the recommended dietary allowance of Vitamin C? So get dipping with these tasty chocolate kiwi popsicle delights! Another one to have a bit of fun with—gingerbread men (and women), DOC style. There are heaps of neat cookie cutters around these days, including awesome kiwi themed shapes! 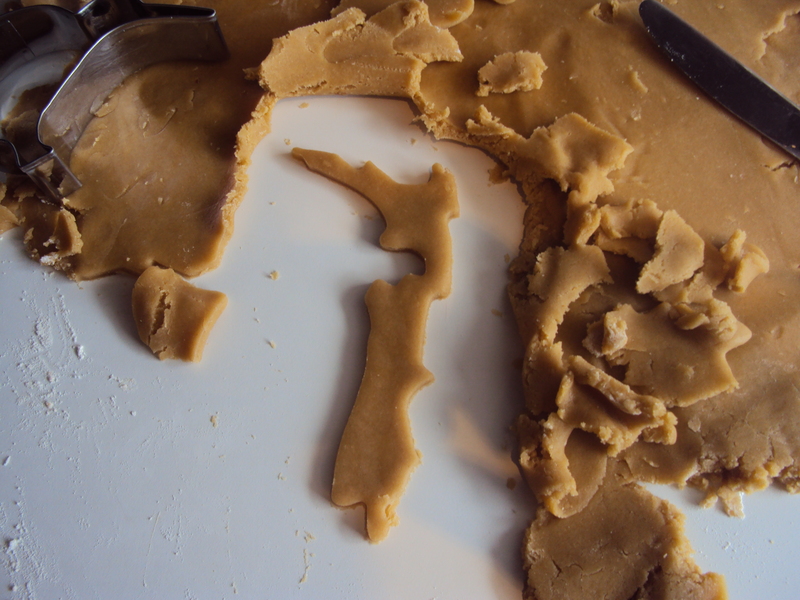 Why not make your own sweet as New Zealand treats, and have a go at designing your own DOC rangers. Creating the stylish ‘DOC pants green’ can be a bit tricky, so use a small amount of icing to practise with first! Here’s a good gingerbread men recipe. 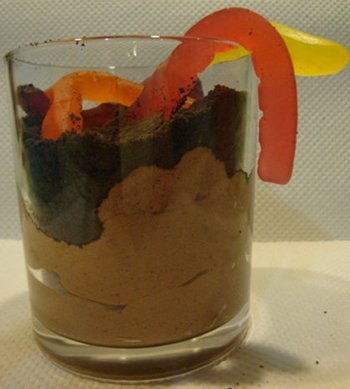 Forget mud pies, earthworm dessert is where it’s at! This decadent dessert will take you back to the days of finding new friends in the garden—fun for any age! DOC’s Kiersten McKinley trialled this with her family and it went down a treat, with the kids creating their own masterpieces! Make up the chocolate mousse and spoon into see-through glasses or suitable containers. Crush the biscuits into small pieces, either in a food processor or with a pestle and mortar. Stick the worms in the ‘earth’. You can use the gum snakes or the sour worms that are available in confectionery packets instead.